How apropos, I thought to myself, because Abraham experienced the very same thing in this week’s Torah portion. G-d told him to go forth, but didn’t tell him where to or for what purpose. In life, even though we may think we know where we’re going and for what purpose, there might just be another hidden reason why we’re destined to go there! My neighbor and I had a very interesting conversation. He is a dissatisfied Evangelical Christian who is searching for greater purpose in his life, and a better community through which he can discover better answers. He mentioned that he’d like to join my community. At one point he asked me if I think he’ll be going to heaven after he dies. “Who cares?” I answered. His face turned colors and he almost spat out the coke he was drinking. He was shocked that the Rabbi sitting next to him was talking sacrilegiously. “What do you mean?” he asked me nervously. Here lies a great divide between Judaism and other religions, and here we see sadly how many Jews today have become so influenced by other religions. No, this world is not a stepping-stone towards Heaven, and the purpose of our lives isn’t to get in to Heaven. The reason we are sent down to live this world is because we each have a unique mission to accomplish in this lifetime. There are many pieces of this world that needs fixing, and you and I are each designated with one piece which only we can repair. 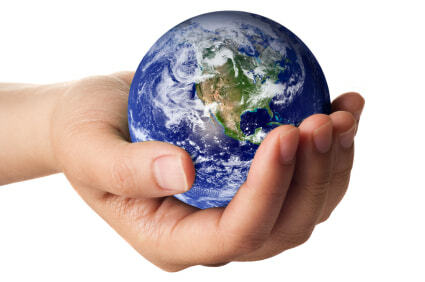 G-d loves our world, which is why He created it in the first place. G-d isn’t very content with Heaven. He wants to dwell in our world, and He needs us to furnish it into a home in which He can feel welcome and comfortable in it. The reason that we live a disciplined and purposeful life, as directed by the Torah, is not for the sake of Heavenly rewards which await us. Of course, there will be Heavenly rewards, but that’s hardly a reason to respect the will of G-d. The true reason is simply because it is the purpose of our lives. This world is where it's all at. I try not to think about Heaven. I try to focus on this lifetime, how I can live out my true destiny, and how I can make this world a better place. The Baal Shem Tov was once traveling with his daughter Adel, and they got stuck in Istanbul for Pesach. They were completely unprepared for the festival and had no food with which to celebrate the Seder. Surprisingly, a guest showed up at their lodgings and asked if he can stay with them. "Sure, but we don't have any food for you." "Don't worry," he explained, "I've brought plenty of food that we can share." And so together they enjoyed a very festive seder. At the end of the evening, the Baal Shem Tov turned to their guest and said, "you have truly restored our lives. We are very grateful to you. How can I bless you?" The man responded, "My wife and I have been blessed with plenty of wealth, but we haven't been blessed with any children." So the Baal Shem Tov blessed him that they will have a child within the year. At that moment there was a commotion on Heaven. How dare he do that? This couple were decreed not to have any children. And so, a heavenly proclamation was issued: Being that the blessings of a tzaddik must be fulfilled, the couple will indeed give birth to a child. But as a punishment for his misdeed, the Baal Shem Tov has forfeited his portion in Heaven. Upon hearing this proclamation, the Baal Shem Tov's face lit up with joy. "How fortunate I am!" he cried. "I just learned that I have forfeited all heavenly reward for my good deeds. All my life I have been troubled by the thought that perhaps my service of the Almighty is tainted by the expectation of reward. Now, however, my service of G‑d will be pure, free of the possibility of any ulterior motive!" This is Judaism 101. It's a message that we all need to internalize, and help teach others. Children and spiritually immature people need to seek reward for all they do. But at some point we all need to outgrow this model, and realize that the greatest reward for doing the right thing is that fact that we have the opportunity and privilege to do the right thing!